Follow-up Program with New Church Plants Engaged – October Update! 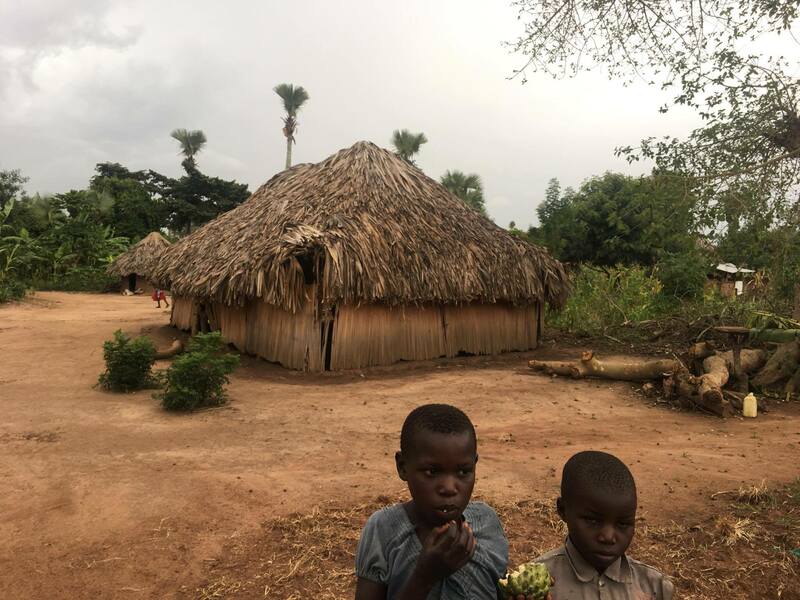 As you know, we had awesome results with Transform Uganda III in July of this year About 50 volunteers from Uganda, Nigeria, and America came together to help transform 12 back-country villages in the north of Uganda. Twelve villages that had never heard the good news – how God loves them, and came to earth to give His live as a ransom for sin to make a may for them into everlasting life – received these volunteers with joy. And because Christ Transformation Ministries is all about “holistic” transformation, our team brought …. The Jesus Film to these villages, with over 3,000 viewing the file in the evenings, and over 500 praying to receive Jesus into their hearts as a result! 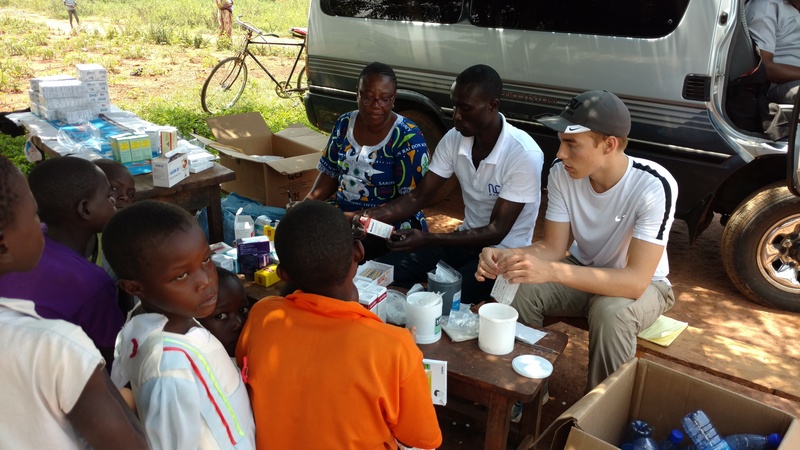 Healing medical treatment – we had two medical teams, each with a doctor and several trained nurses. Over the course of 1 week, these two teams treated thousands of villagers, dispensing medicine and bringing healing to the villagers. 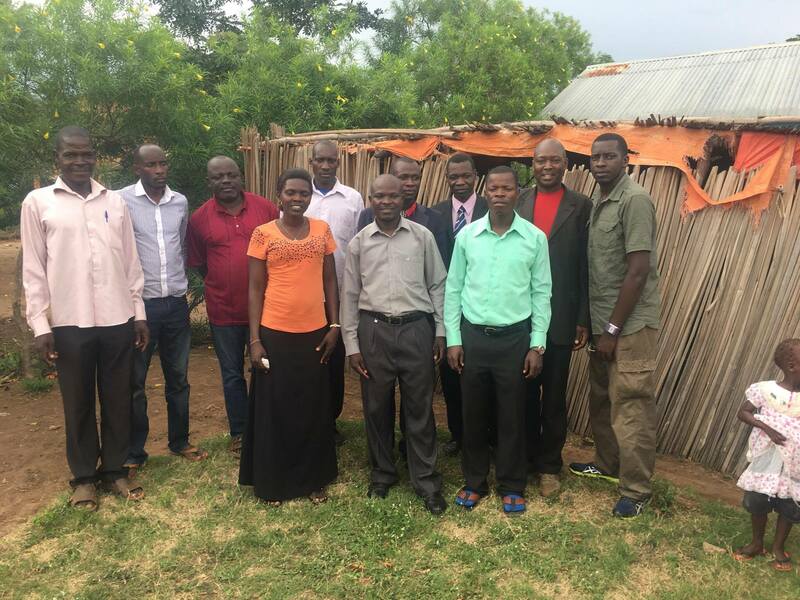 Help with construction – our building team was able to work with CTM Uganda volunteers to complete the anchor church building at Nabigaga, one of the larger church plants. As a results, the church was able to hold their first worship service in this new building! 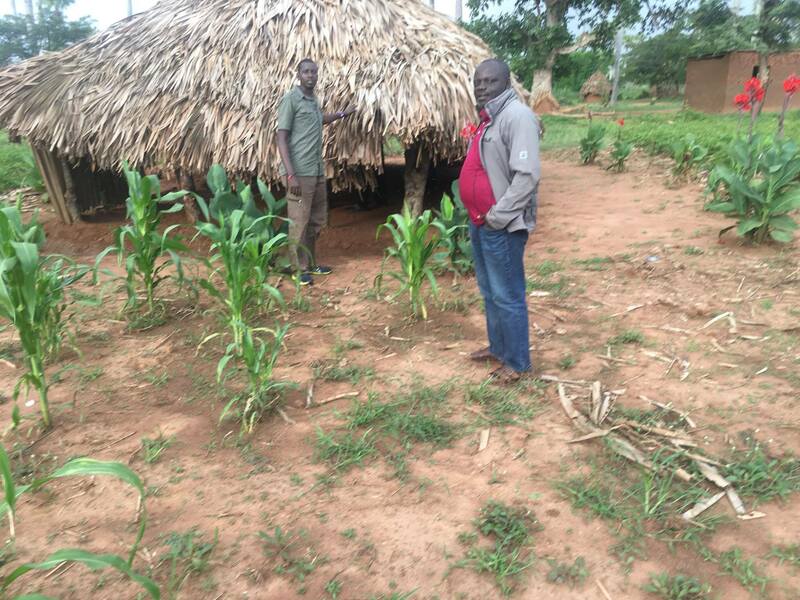 Our TU III teams departed Uganda at the beginning of August, but we at Christ Transformation Ministries are committed to following through with these new church plants, ensuring that they fully take root, grow and prosper. Our follow-up with the new 28 new church plants engaged in October, with three regional teams organized for the task. Each team was equipped with a motor scooter, provided through your generous donations. Our white CTM of-road vehicle is used to carry supplies, and support team members. A senior CTM pastor will minister and mentor the new church pastor, and ensure that he/she has a bible and teaching materials. A special message will also be shared with the church members to encourage them. Assess the health of the village church – in terms of do the members have bibles? Is there a meeting place for the church members, and what is its condition? Identify other needs of each local church, so that this information can be fed back to CTM leadership, and we can bring these needs to the attention of our supports – and let God be the provision for these villagers and new churches. 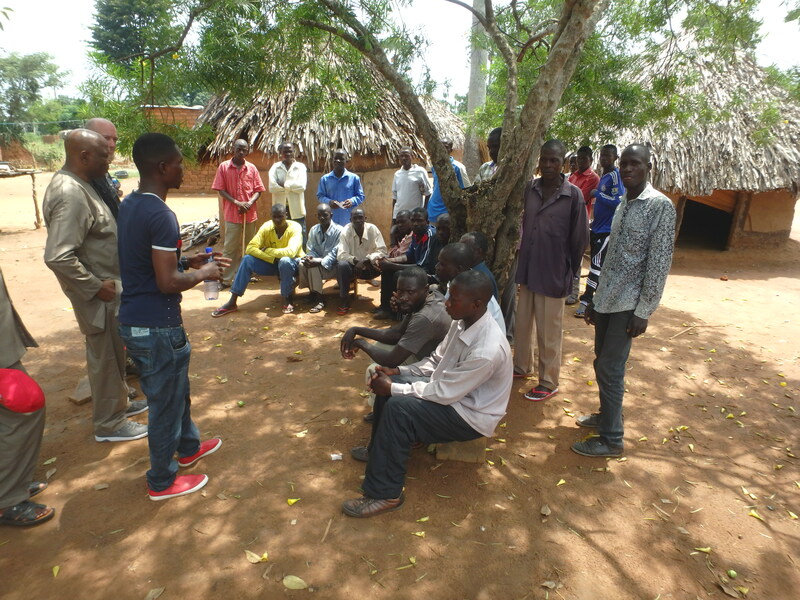 During October, our regional teams visited the churches of Bumogoli, Kisanga, Nawangaize, and Kasanga. 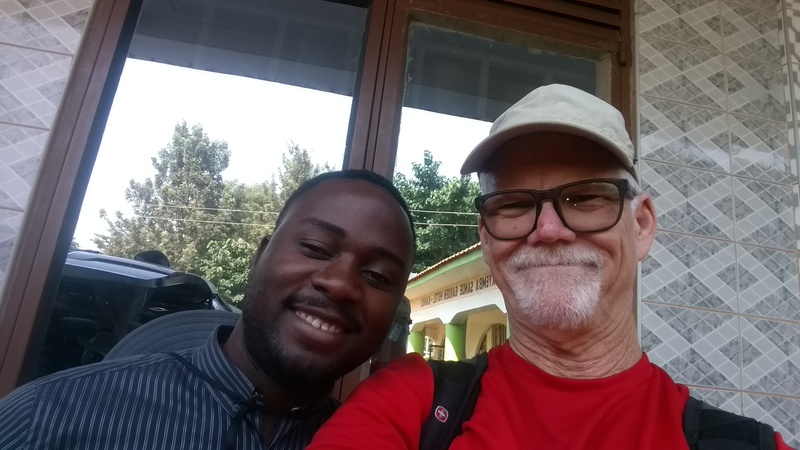 Thanks to Moses Magezi, our follow-up program project manager, we are able to bring you the updates below on three of the churches visited during October. In the event you wish to provide a tax-deductible donation to help support the pastor, or the needs in any of these churches, please follow the link provide below, and you will be directed to our donate page when you can make your donation. Be sure to mention in the comments field which church, and the need you would like your funds to apply to. May God bless you! The Bumogoli church has about 50 members, and there is a temporary grass roof church structure in place. Pastor Paul leads the congregation, along with his wife and 4 children. 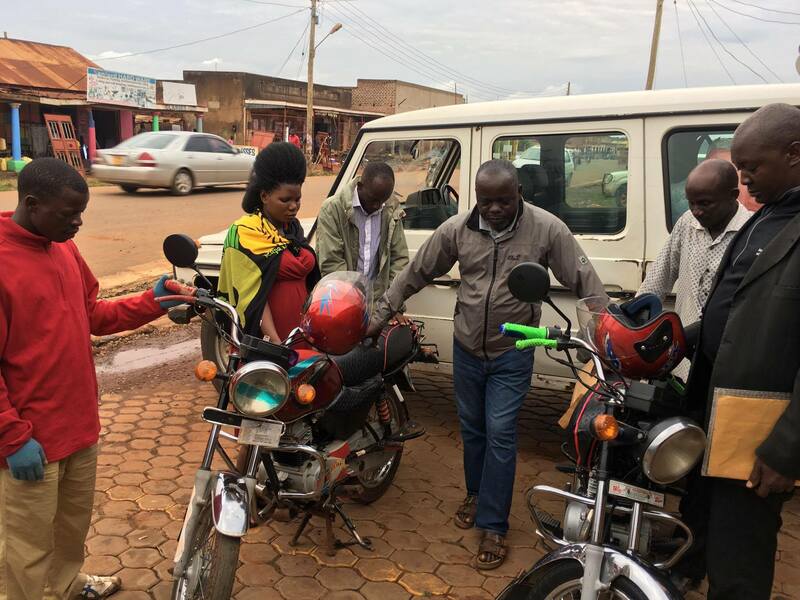 Thanks to your donations, Pastor Paul has transportation – a bicycle – with which to get around the village to visit members, as well as go for supplies. Although the pastor has a bible, the village church members have no bibles! Donate to help provide bibles to the church members. A bible costs about $13. About 25 bibles are needed for the church (families can share a bible). Go to Donate to help! Donate toward providing a borehole (water well) for this village, so they have access to clean water. A deep water borehole costs about $6,000 to drill. If you would like to donate toward this, please go to our Donate page. Donate toward a structure and land so these church members can have a more suitable place to meet. Go to Donate to help! The Kasanga church was also visited, led by Pastor Emmanuel who is married and has one child. Thanks to your donations, the pastor has a bicycle to visit the members in his congregation, which numbers about 80. This new church has a temporary church structure in which the members meet. And although the pastor does have a bible, the some 80 church members do not have any bibles! Fortunately, there is a borehole in this village for fresh water – so that basic need has been met. There is no near-by hospital or medical clinic, so CTM will be looking at how to better service medical needs in the village in the future. Donate to help provide bibles to the church members. A bible costs about $13. About 40 bibles are needed for the church (families can share a bible). Go to Donate to help! The Kisanga church was also visited this October. I know the name sounds the same, but this is a different church than the one listed above! This is one of the larger churches, with about 200 members currently (even though this church was established in 2015!) Pastor Chris is married, with three young children. Pastor Chris has a bicycle to get around the community, and has a bible to teach and lead his flock. But most of the members do not have any bibles! About 50 bibles are needed in this church. 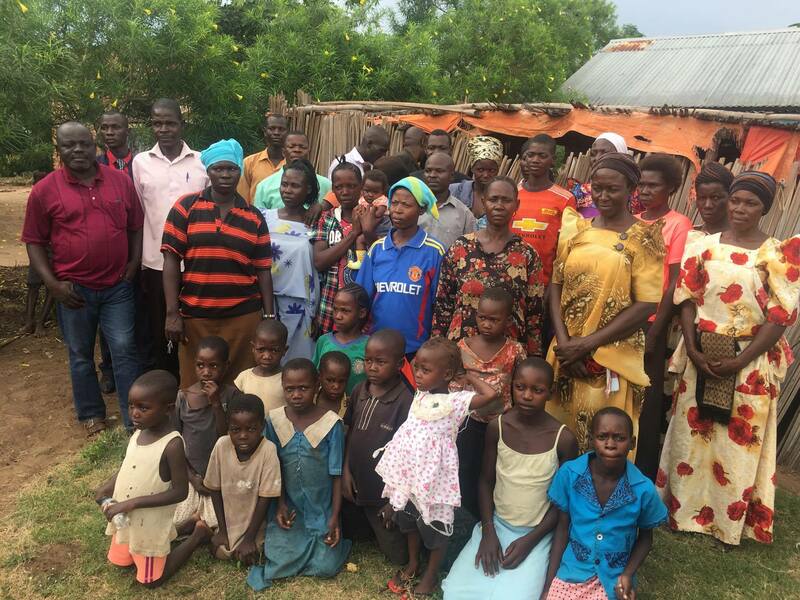 The church does have a borehole thanks to your donations – praise the Lord! The church could really use a PA system and funds for chairs. It is difficult for the pastor to project his voice without a PA system, and the congregation needs seating. Go to Donate to help! Bibles are needed for church members – about 50 are needed, as many can share. If you would like to donate to help provide bibles to this church, please go to our Get Involved page. The Pastor also needs a donor to come along side him and his family and help support them – so he can use all of his time to devote to the ministry and a growing church. 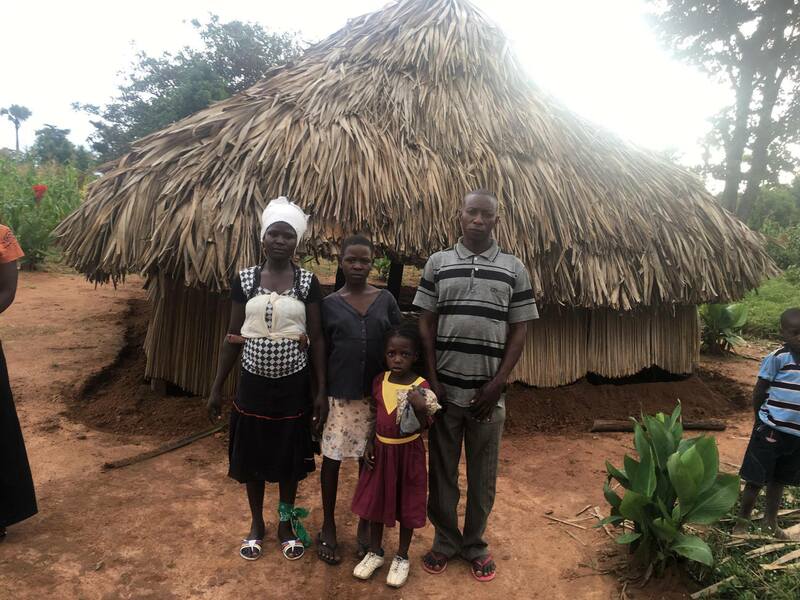 It coasts about $33 a month to support a pastor and a small family. If you would like to adopt pastor Chris and his family, go to our Get Involved page. We sincerely thank you for helping to support these new churches, and to enable them by God’s grace to grow and prosper. Your tax deductible donations will be 100% applied to the purpose for which you are sending the funds, and we will provide you with updates in our blog, web site and Facebook pages about the fruit that will result from your generosity. By the way, we are in process of building a set of web pages on our web site which will provide you our supporters with a view into each church, along with photos of the pastor and family, the church members, the status of the health of the church, and specific church needs (bibles, teaching materials, food, water, medical, etc.). Watch for this as a future enhancement to our web site! May our Lord and Savior, Jesus Christ, bless you above and beyond your dreams.